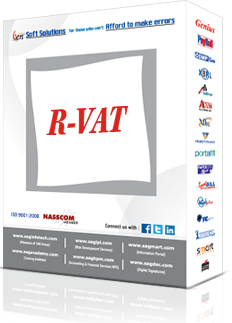 As filing of VAT/CST returns is a laborious and cumbersome work, so SAG presents RVAT Software, which provides rapid and quick solutions related to the filing of VAT and CST Returns. The software resolves your query in a short span of time. The whole work from e-Registration to e-Return filing is provided by us. It’s a complete user friendly solution! It helps to calculate VAT payable, prepare periodic return, annual return and audit report and create tax challan and maintain MIS of return filed and pending returns. Preparation of all CST Forms. E-return Files can be generated in Excel Format. All Blank Forms are available.